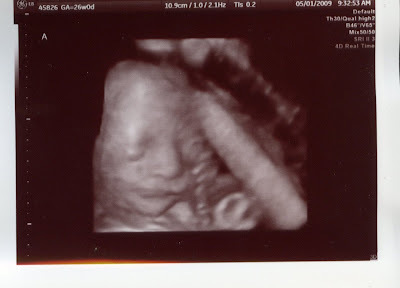 Baby Carter at 26 weeks was captured here taking a quick nap in between kicking his brother and enjoying the sugar rush from Heather's glucose test! 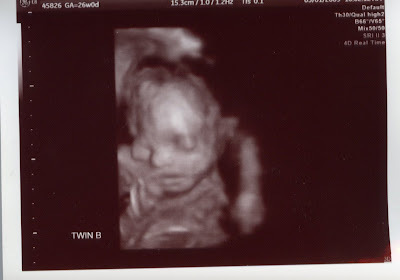 Baby Barrett at 26 weeks. He did not want to hold still for any really amazing pics! He was to busy spinning around from all that sugar. Barrett is no longer head down like his brother. He is now laying sideways (transverse) in Mom's tummy. Perhaps if we give him some more sugar he will go back!